Dental implants have changed the face of dentistry over the last 25 years. Osseointegration (a process involving fusion of the implant surface with the bone) lies at the basis of dental implant success. Osseointegration allows long-term implant durability as own tooth for decades without complications. Transgingival one-part implantation offers the patient huge benefits – painless post-operative period and possible high-impact use immediately after the implantation. The patient leaves with a tooth right after the implantation. The inclusion of high-energy laser during the implantation ensures sterility of the operative field, lack of traumatism and reliability of the healing effect. 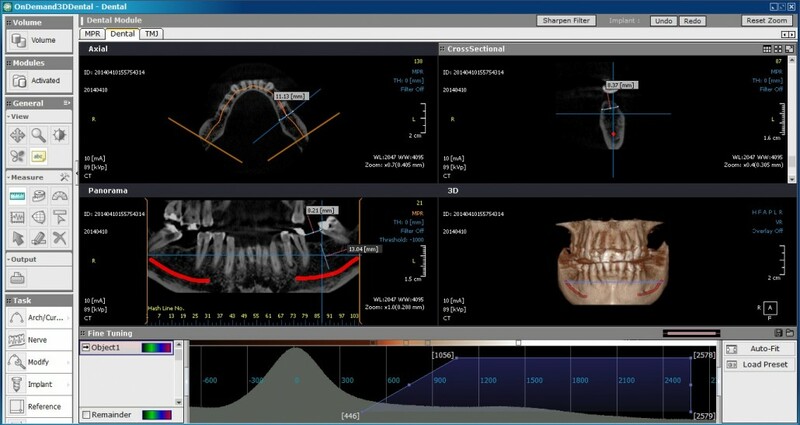 The correct planning, the digital scanner analysis and the use of individual surgical guide ensure correct positioning in the bone with optimal margin from the neighbouring teeth and anatomical features – maxillary sinus and mandibular canal. With patients without sufficient bone, there are two possible methods of implantation. The first one is through osseointegration involving a process of bone implantation (bone grafting) followed by the dental implant. The most commonly used clinical procedures for bone base increase are Sinus lift, Horizontal bone augmentation, Vertical bone augmentation. The second implant option in case of insufficient bone is without osseointegration – with basal implants. Basal implants are anchored in the periosteum of the maxillary sinus, the floor of the nasal cavity and the periosteum of the mandible. Contraindications for implantation are absolute and relative. Implantation is not carried out in case of absolute contraindications – osteoporosis, malignant bone disease, treatment with bisphosphonates. Relative contraindications include diabetes, smoking, gnashing of teeth, gum disease, etc. In case of relative contraindications, additional treatment procedures are used to facilitate implantation. Modern implantology allows placement of implants immediately after tooth extraction. Besides immediate restoration of dentition aesthetics, this treatment method protects the bone from atrophy (shrinking) leading to impaired aesthetics. 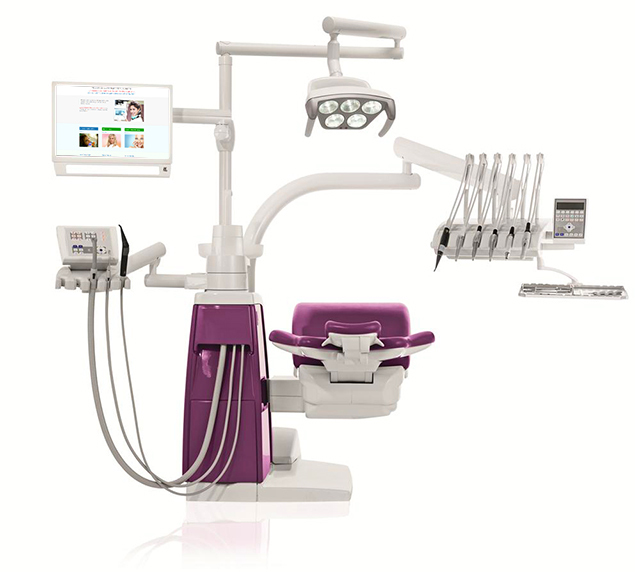 The implantation method used in Laser Dental Centre Rositsa Koleva M.D. 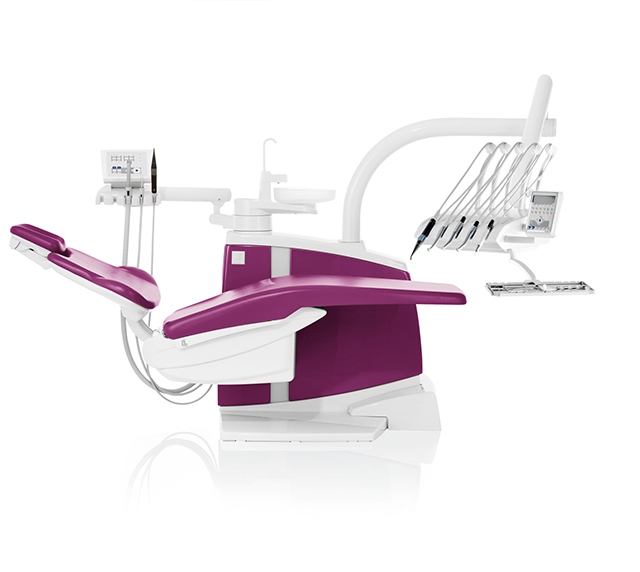 is transgingival implantation with Lite Touch™ high-energy dental laser, German TRINON Titanium Q-implants and Swiss Ihde implants. Tooth caries is a disease of the hard tooth tissues – enamel and dentin. The etyology of the disease includes many factors, the most important of which contributing to its appearance and development are: heredity, feeding and Streptococcus Mutans. The disease can be prevented and fixed with appropriate prophylaxis. The presence of streptococcus can be established at the surgery by using Sliva – check mutans. The laser treatment of caries involves removal of decay with high energy pulse beam, which causes tiny explosions of water molecules on the surface without penetrating in depth. The procedure is painless and vibration-free since the tooth is not touched. Laser treatment of caries is especially suitable for children’s teeth. This branch of dentistry deals with treatment of diseases of the tooth pulp – pulpitis and pus bags – granulomas. Periodontitis (dental granuloma) can be treated successfully in 80 percent of the cases depending on the general health condition and age. Treatment of pulpitis is done by extracting the tooth nerves and filling of the root canals. Treatment can be given in the course of one visit. It is essential to work in sterile environment and fill the root canals exactly to the top of the roots. I provide disinfection of the root canals with medicines and by using the high energy laser Lite Touch. The filling is done by using the lateral condensation method and apex locator for determining the exact length of the root canals. The treatment is painless due to the application of local anaesthesia. One of the latest methods for teeth alignment involves the use of lingual braces. The term “lingual”, which comes from the Latin word for tongue (“lingua”), specifies the location of the braces – along the inner tooth surface. In the initial stages of their treatment, patients feel with their tongues the presence of the braces and eating and speaking are a little impeded, but no one can see the braces. The lingual system which has been used since 1970 is under constant development. The braces used nowadays are smaller and more efficient. 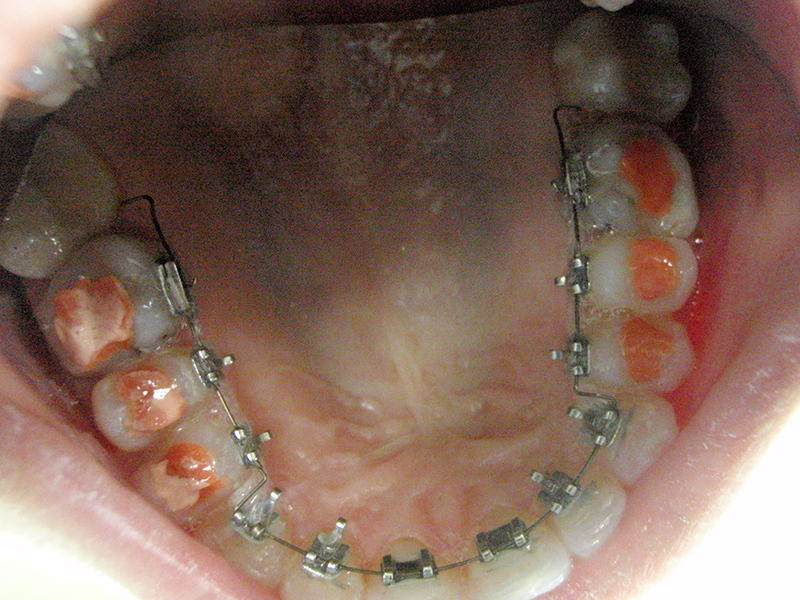 The lingual arches connecting the braces apply forces which move the teeth to a new position within days, weeks or months. In recent years there has been a growing interest in the use of lingual systems among patients and specialists. Lingual braces are the latest method of moving the teeth in an unobtrusive way. The lingual system used in my practice is Forestadent 2D lingual system. Generalised periodontitis (gum disease) – this disease is already curable. The main reasons for gum disease (teeth loosening) are bacteria from tooth plaque and genetics. Other microbes related to gum infections include: Actinomyces naeslundii, Act.odontolyticus, Act.viscosus, Bacteroides fragilis, Capnocytophaga sp., E.coli, Eikenella corrodens, Fusobacterium nucleatum, Fusobacterium spp., Haemophilus aphrophilus, Leptotrihia buccalis, P.endodontalis, Porphiromonas gingivalis, Prevotella corporis, Pr.loescheii, Pripioibacterium spp., Pseudomonas Aeruginosa, Streptococcus mitis, Str.mutans, Str.oralis, Str.salivarius, Str.sanguis, Str.vestibularis. Genetic microbiologic tests exist for correct establishment of the agent bacteria. The treatment plan is drawn on that basis and it is individual. Usually it starts with cleaning of tartar, followed by anti-microbe therapy. With more severe and chronic cases anti-microbe therapy starts first because periodontal pathogens can spread in the blood stream and cause transitory bacteraemia affecting the heart, joint tissue, foetus during pregnancy. Ultrasonic scalers are usually used for cleaning and the best is the Swiss EMS, which does not damage the surface of the teeth. Then there comes polishing of tooth surfaces with rubber, brushes and profiflex (spray with special soda). I also practise laser cleaning of tartar. The advantage is the lack of unpleasant vibrations and bacterial effect, i.e. the bacteria are destroyed momentarily. Control tests are carried out every six months. Periodontal pathogens are destroyed within two years and then surgery treatment can be given for recovery of damaged tissues so bone and gingival regeneration is achieved. The process is assisted by procedures with low energy diode laser and splints. Genetics does not mean people are doomed. Family spreading of the disease is observed, which is more to do with the fact that periodontal pathogens are infectious agents which are passed on between family members through common cutlery. Aggravating factors for the development of periodontal disease include smoking, stress, system diseases, diet errors, pregnancy, etc. Smoking disturbs micro circulation in peripheral blood vessels, where the alveolar bone holding the teeth belongs. This contributes to malnutrition of the bone and further to reduced defence mechanisms against periodontal pathogens. It has been established that this circulation restores after the eighth day of quitting smoking. Stress in blood circulation leads to the release of high levels of adrenalin which causes vasoconstriction. As a result, blood flow to vital organs is reduced as well as immunity so the organism becomes more prone to infections. During pregnancy, a huge amount of hormones like estrogen and progesterone is released. Some of the periodontal pathogens use these hormones as a factor of growth. Each feeding which is low in nutrients reduces immunity and leads to the development of a greater quantity of periodontal pathogens in the gums, which release toxins destroying the tooth holding bone. It can be considered that the disease is also spread sexually due to changed sexual habits of patients born later after 1970. Recovery of missing teeth is done by using bridges. I use Ceramko metal ceramics and zircon ceramics. In most cases the teeth holding the bridge are filed. Depending on the size of the tooth and the pulp chamber of alive teeth, an individual decision is made whether the teeth should be killed. There are bridges which do not require full filing but only partial one – those are bridges with tooth crowns and inlets. Modern double polymer cement glues are used for gluing. Implants are artificial materials with special biological coating, which are inserted into the bone and fulfil the role of roots on which bridges and crowns are placed. I use transgingivitis Q-implants and Lite Touch, which means there is no big damage and pain in the mouth. This is not always achievable – when there is not enough bone base, surgery intervention is necessary. Cuts with high energy laser heal faster and with less post operation pain. Children’s teeth are different from permanent teeth in their enamel strength and the anatomy of their roots and pulp chamber. Children’s teeth are particularly important for the physical development of the child and the correct coming out of the permanent teeth. Therefore, they must be treated but this treatment must not turn into a psychological trauma, since such traumatic experiences are long remembered and sometimes develop into phobias. Psychological traumas are avoided by treating children’s teeth with the use of a high-energy laser.